Telecontrol and teleservice utilize all communication networks that allow for data transmission. These are dedicated lines, private radio networks, analog telephone networks via modem, digital ISDN networks, cellular phone networks, satellite communication or the Internet. In the case of cellular phone networks, constant developments enable increasingly faster data transmission rates as well as the transmission of ever larger amounts of data. The innovation cycles here are becoming shorter and shorter. Manufacturers of telecontrol products are expected to support these developments and to incorporate them into their products. The programming of the data transmission from the stations to the control center generally requires trained specialized personnel and proportionate time. Over time, the configuration was steadily simplified and became more user-friendly, yet still often required protocol and programming know-how. A growing desire on the market is to have telecontrol solutions that only require the parameterization of the data transmission from the station to the control center. This parameterization is to be as intuitive as possible and not involve any programming know-how or effort. Support is to be provided by powerful engineering tools. 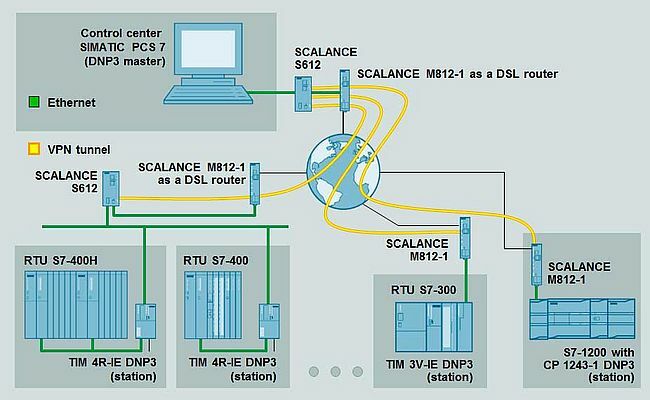 The demand for scalable telecontrol solutions has existed for a long time. For someone starting today with a few stations - which are to be connected to a control center - it should be possible to gradually expand their number over the years without additional expenditures for switching to new hardware or software. The telecontrol solution is to be adaptable at any time - matching the progression of the company - thus providing investment security and protection against avoidable follow-up investments. Requests have been made for an uninterrupted capture of data by means of integrated buffer mechanisms on the station level, and for redundant hardware infrastructures on the control center level. In the case of a connection loss, values are to be temporarily stored with a timestamp - so that once the connection has been reestablished, the buffered values can be automatically transmitted to the control center in the chronologically correct order. Measures preventing data tampering and data loss should be given a top priority here. Promptly providing the status of stations to service or maintenance personnel is essential. Upon the occurrence of previously defined events, e.g., the exceeding of a threshold value, application-specific process information is to be automatically sent by e-mail or SMS to the persons assigned in the system. Product Range for "Industrial Remote Communication"
Siemens addresses these challenges by offering a comprehensive telecontrol and remote maintenance product range grouped under the term "Industrial Remote Communication", which picks up these trends or takes them into consideration. In addition to the tried and tested protocol "SINAUT ST7", Siemens also utilizes the open protocols IEC 60870 and DNP3. With the TeleControl Basic portfolio, small applications up to plants with 5000 telecontrol stations can be realized. It is ideal for simple monitoring and control tasks, for transmitting process data as well as for remote diagnostics and remote maintenance. It provides a secure data communication and full remote access to engineering and maintenance functions. The connection of the control center to the remote stations takes place over GPRS or the Internet. The substations of the type SIMATIC S7-200 / S7-1200 supply information on the status of the subordinated machines or plant sections to the TeleControl Server Basic in defined intervals. TeleControl Professional represents a comprehensive telecontrol system for telecontrol solutions with a high degree of automation. The system supports a wide range of network structures, communication media and telecontrol protocols - and is thus suitable for demanding SCADA concepts in widely spread process plants. TeleControl Basic and TeleControl Professional can be employed independently of one another, but also be combined in one project. TeleServiceis employed for remotely diagnosing and servicing spatially separated machines and plants over telephone networks, cellular networks or the Internet. This system component contributes greatly to reduced travel and personnel costs for service calls, and to increased availability of machines and plants. From the current SIMATIC devices, all controllers of the series S7-1200, S7-300 and S7-400 can be used. The connection of the stations to the control center takes place over different telecontrol routes. Aided by the wide range of modems and routers, almost any transmission route can be implemented. Remote networks are public or private communication infrastructures - such cellular or landline telephone networks - for covering large areas or great distances. The comprehensive remote network portfolio from Siemens offers connections to traditional as well as IP-based infrastructures. 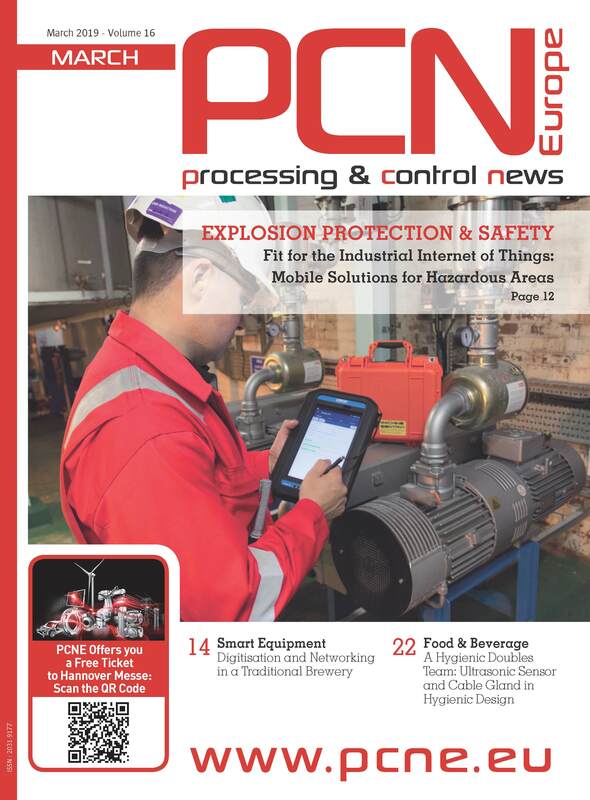 Increasing bandwidths, higher availability and lower costs associated with private and public networks are opening up new possibilities for the remote communication in public as well as industrial communication environments.